and a buzz lightyear valentine. 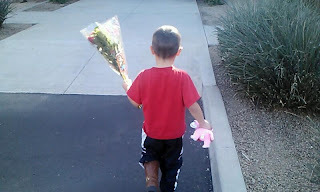 apparently i beat out all the preschool girls for his affections. ...with one leg tucked in to his toy story boots. this kid is a winner. to ask me a question/favor. but i suppose that's better than uneventful!